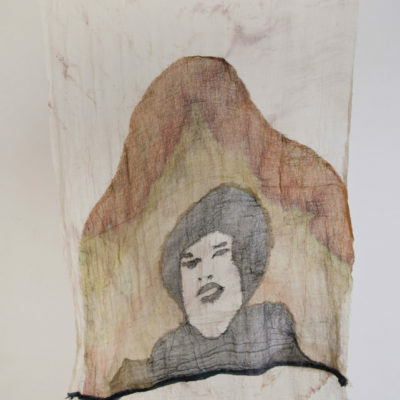 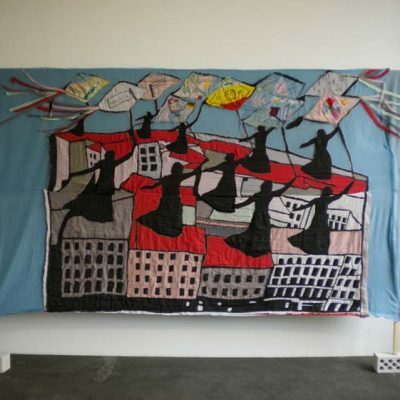 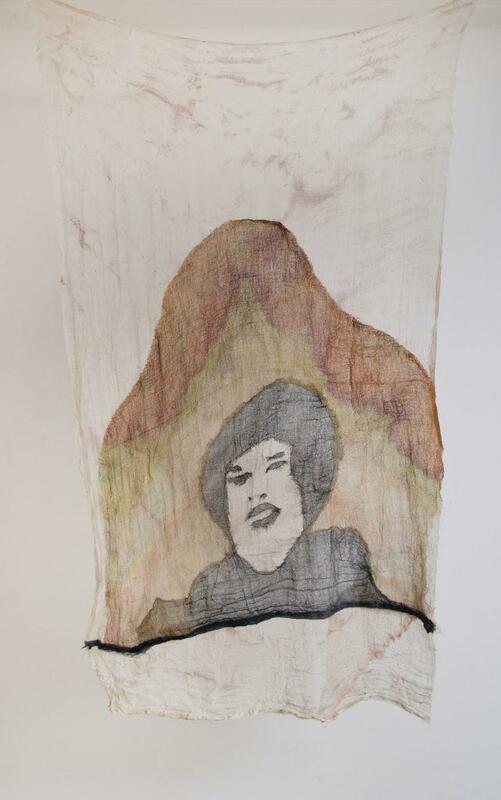 Güneş Terkol, Chromatic Kites of Women, 2012, Sewing on fabric, 300x250 cm. 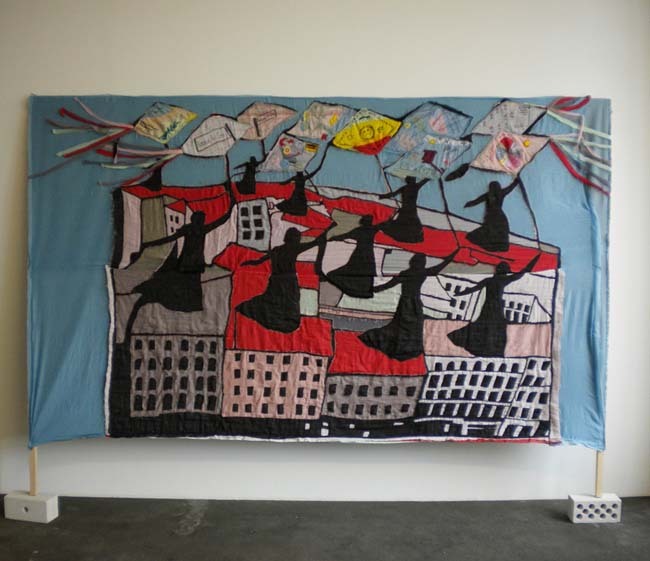 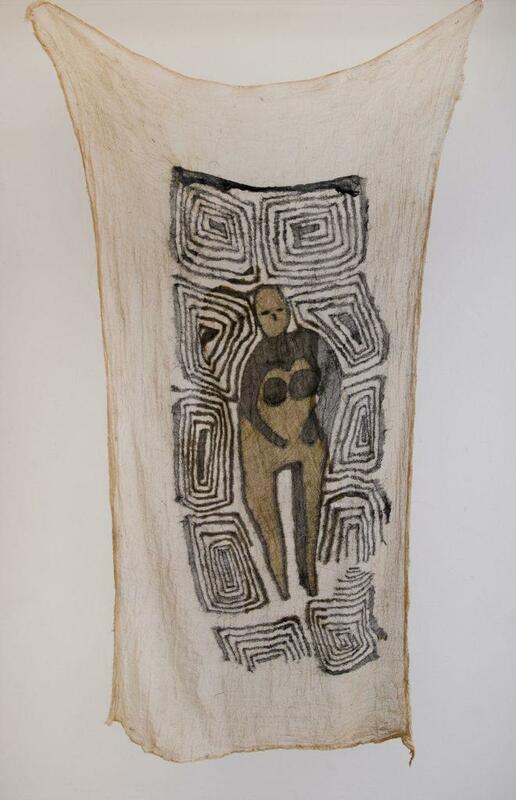 Güneş Terkol, Pour yourself into yourself, 2015, embroidery and drawing on fabric, 178x170 cm. 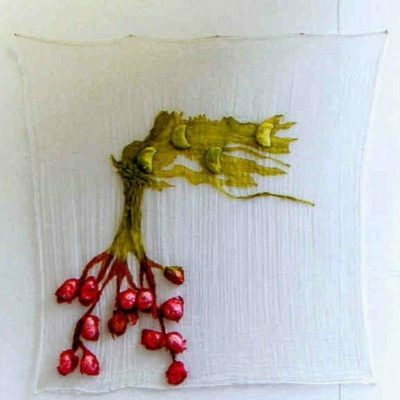 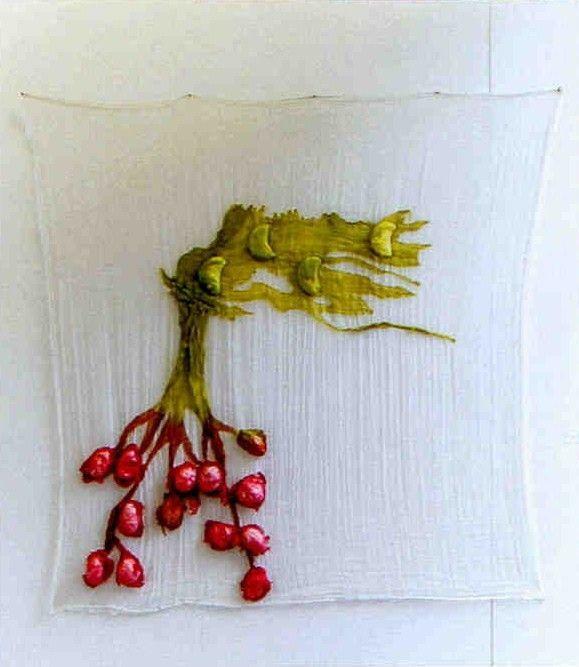 Güneş Terkol, Tıkanmış biri, 2017, weaving and sewing on natural dyed fabric, 155x60 cm. 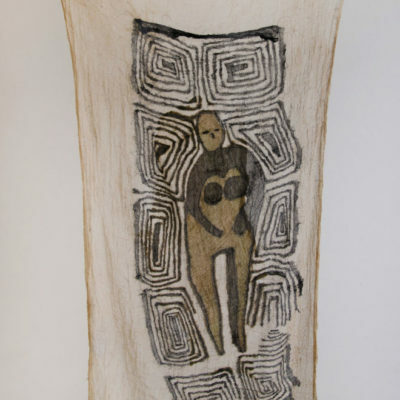 Güneş Terkol, Otofoto, 2016, weaving and sewing on natural dyed fabric, 160x75 cm.